How truly selfish are teachers? This past year I have read a lot of political articles about teachers. More often than not they were portrayed as very selfish. I often found in political discussions about teacher unions that people portrayed teachers almost as villains. Three of my closest friends are all elementary school teachers. Each time someone vilifies teachers and their selfishness I think of the time, love, dedication, and money my friends have put towards their students. 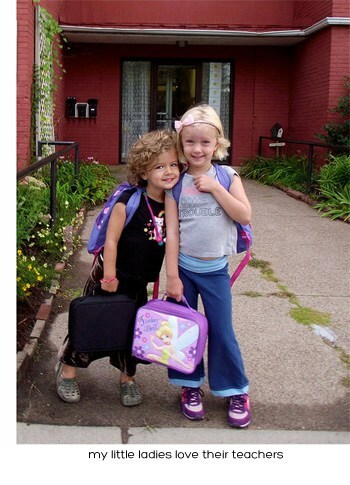 This year I still see that same dedication coming from my girls’ teachers to our home. For example, last week I got an email response from one of the girl’s teachers on a Sunday night at 9:45pm. Tell me again why we think teachers are lazy and selfish? I understand the political discussion is needed, but I am perplexed by how we speak about teachers in this country sometimes. Earlier this month I asked teachers if they would share their favorite holiday gift ideas with me on the Let’s Lasso the Moon Give a Lifetime Love of Learning Pinterest board. Of course, it didn’t surprise me when they started listing items like classroom supplies, books, art supplies, etc. Many schools offer a “Classroom Wish List” in which the teacher lists many of the items they need for their rooms. Still, if you are looking for something just a little above and beyond providing a box of Kleenex consider topping off your classroom gift with one of the nice gestures below. This is our last official week of Stock Your Stash! I like the idea of topping off my classroom gift by buying my teacher a cup of coffee. Consider a Starbucks gift card or even buying some nice ground coffee. 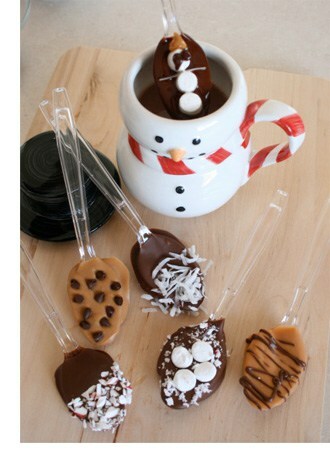 If you want the kids to help make something check out these adorable chocolate spoons! Pop on over for directions from Ann at AlphaMom! Consider buying your teacher a gift certificate for a local bookstore. 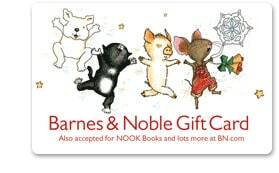 Barnes & Noble is selling these adorable If You Give… designed cards. A gift card allows the teacher to purchase either a book for themselves or for the classroom. If you want your child to participate you could (a) have them chose an appropriate book for the classroom or (b) have them made a fun envelope to put the gift card in! 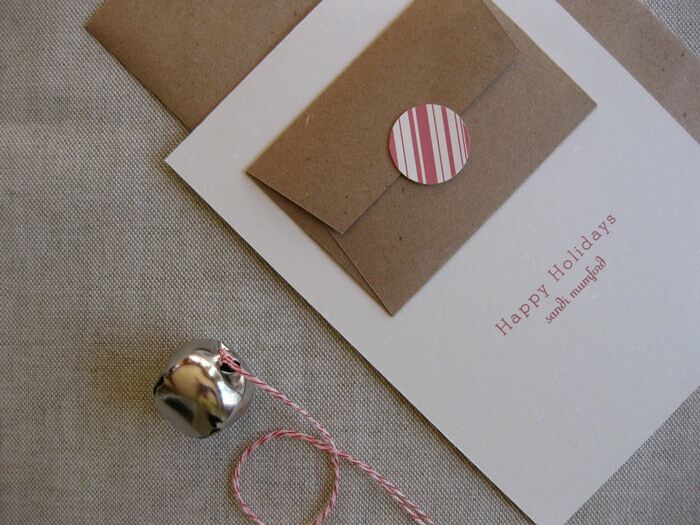 I thought this gift card envelope design from Sweet Beaker was adorable. She no longer sells the cards, but I imagine the design could be easily replicated if you gave it some thought! Don’t under estimate the power of a handwritten note from you or your child (or both). 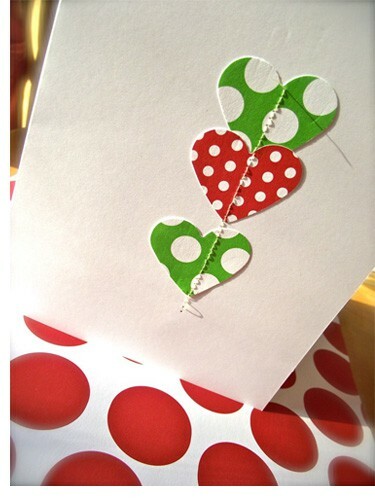 In 2010 I bookmarked a Valentine blog post that was sew cute over at Pink & Green Mama. Find some holiday colored paper, grab a heart punch, get some cheap white stock cards & envelopes, and warm up the sewing machine. Any excuse I have to get the girls sewing I love. Now, in the original project they use cloth, but I think the paper version turned out adorable too. 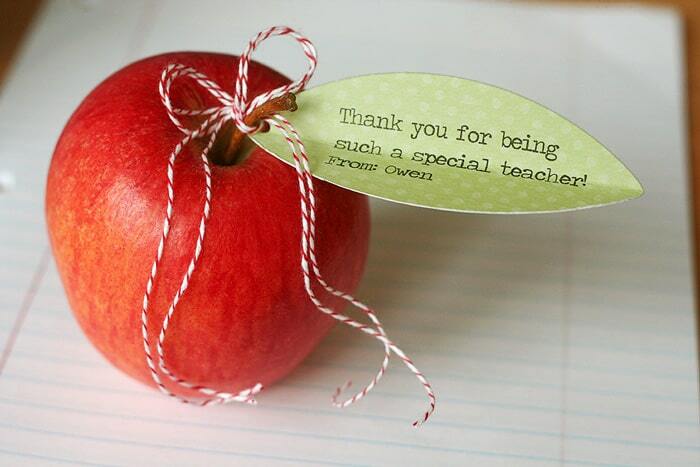 What a great way to send your teacher a little extra “love” this holiday season. In the end I don’t think teachers really “want” anything more than the rest of us, a kind gesture to say “I see you. You make a difference in my child’s life” is all that is truly needed. I love this simplified expression. Disclaimer: Some links above lead to affiliate networks. Click here to read our full disclosure. Cute idea with the spoons! I think I am going to make a bunch for around the house. I understand the frustration with the political nature with education. I think more disapproval and villainous thoughts are towards the unions and not so much the teachers, this coming from the neighbor of 2 awesome teachers. Thank you for this! I As a former inner city ealry childhood education teacher and as a gal married to a math teacher I clearly have very strong feelings on the topic! It’s so nice to hear positive thoughts about our profession. I’m sure your children’s teachers appreciate you too!